Go .53 miles, bear right on Wayah St.
Go .7 miles, bear right on Wayah St.
From 5 W Main St go toward Macon Ave.
Macon County Senior Services and the Community Resource Center is located at 108 Wayah Street in Franklin, NC. Senior Services offers a variety of programs to help the older adult maintain their independent lifestyle. The Community Resource Center is a point of access for information in regards to the full range of services offered in the community. Staffed Monday through Friday from 8am to 5pm. To contact the Resource Center call 349-0211. To find out if you are eligible to receive services, contact the office and a staff person will take a referral and do an assessment. Sponsored by the North Carolina Department of Insurance, SHIIP is available to help you answer your Medicare and Supplemental Insurance questions. Trained volunteers can provide you with information regarding claims, coverage, policy comparisons, paperwork and advise you what to do next. You may call Senior Services to make an appointment with a local volunteer or you can call the SHIIP hotline at 1-800-433-9354 or visit their website. Adult Daycare program is designed to relieve the caregivers of adults with disabilities and our senior population to enable individuals to remain in their home. Staff provides daily activities, games, crafts, light exercises, and occasional field trips. Hours are 7:00 a.m. to 6:00 p.m., Monday through Friday. IN THE EVENT OF INCLEMENT WEATHER, LOCAL RADIO AND TELEVISION STATIONS WILL BROADCAST WHETHER WE WILL BE OPENING OR NOT. A friendly daily phone call to check on the welfare of individuals that live alone and are at high risk. A computer identification registry for high-risk individuals in the county. This program gives emergency responders and law enforcement important information that will make their response to the person’s call more efficient and effective. The Community Resource Center is a point of access for information on services for all ages. In cooperation with the Macon County's Sheriff's Office, screening for placement of a radio transmitter that can help aid in the location of individuals prone to wander. This program relies on the use of volunteers to deliver a hot lunch M-F to homebound seniors in Macon County. The meals are prepared by a local caterer in the Franklin and Highlands area. Any homebound individuals interested in applying for services needs to contact Senior Services. Due to the county's geography, it may not always be possible to deliver meals to some area of the county. IN THE EVENT OF INCLEMENT WEATHER, LOCAL RADIO AND TELEVISION STATIONS WILL BROADCAST WHETHER MEALS WILL BE SERVED OR NOT. This program provides a hot lunch by reservation only. A local caterer prepares the food. In addition to a nutritionally balanced meal participants benefit from fellowship, exercise, and creative activities. Local transportation services are available through the Macon County Transit (828) 349-2222. Senior Services is a host site for the Senior Companion Program. This is a federal program administered by Mtn. Projects located in Haywood County. Volunteers who meet eligibiltiy requirements will receive a stipend. 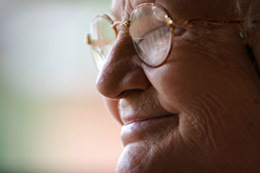 Senior Services is a host agency site for the senior aide program. Seniors are employed through The State of Franklin located in Bryson City. For information on this program contact Senior Services at (828) 349-2058 or State of Franklin at (828) 488-3047. A wide range of activities and classes from Zumba to Tai Chi to Art classes and woodcarving are available Monday-Friday, from 8am to 5pm. All you need to do is call 349-2058 and sign-up for one or all of the monthly activities. See our monthly newsletter by clicking here.